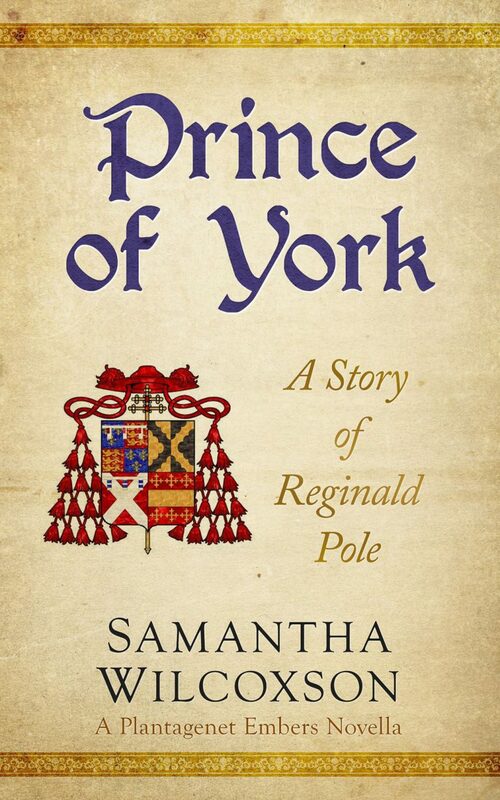 Reginald Pole may have come from the royal blood of the House of York but that wouldn’t save him from the wrath of his cousin, King Henry VIII. 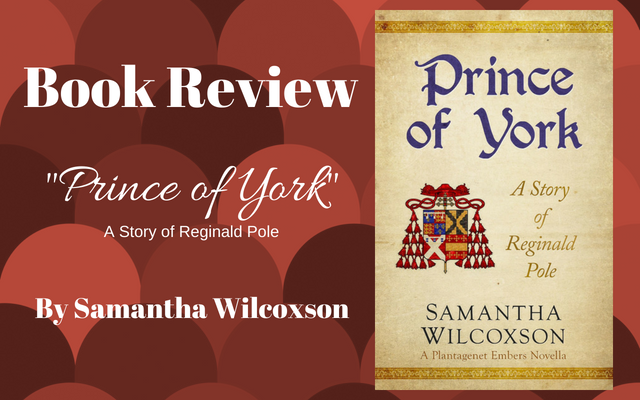 I have known Samantha Wilcoxson for a couple of years now and I was very excited when she offered me an ARC (advance review copy) of her new book, “Prince of York”. All of her novels and novellas are fantastic and her writing style seems almost effortless. Once you begin reading it’s hard to put one of her books down. This would be the first of Wilcoxson’s Tudor-related books to feature a man as the main character. Something I have learned from my own experience is not always as easy as writing from a perspective that you can truly relate to. Reginald Pole was born at Stourton Castle, Staffordshire, on 3 March 1500, to Margaret Plantagenet and Sir Richard Pole. Reginald was the grandson of George, Duke of Clarence (Isabel Neville) and great-nephew to both King Edward IV and King Richard III. To say he had royal blood in his veins would be an understatement. Unfortunately, after the execution of his grandfather, the Duke of Clarence, his family name was severely tarnished and Clarence’s lands and titles were forfeited. When Reginald’s uncle, Richard III was killed at the Battle of Bosworth in 1485, Henry VII became King of England. At the time it was imperative for all the Yorkist supporters to move into the shadows and not to interfere with the Tudor reign. With all that being said, Henry VII arranged a marriage for Margaret Plantagenet to Sir Richard Pole. Sir Richard Pole was considered a safe marriage for Margaret — he was related to My Lady, the King’s Mother, Margaret Beaufort through her half-sister (Edith St. John), who was Sir Richard Pole’s mother. By marrying Margaret Plantagenet into the family it would make it more difficult for plotters to use Margaret as a figurehead for their Yorkist cause. Margaret and Richard went on to have five children together: Henry, Reginald, Geoffrey, Arthur and Ursula Pole. In 1504/5, Sir Richard Pole died. After his death, Margaret was left to raise five children with a limited amount of land inherited from her husband. She had no salary and no prospects. With Margaret’s limited funds Henry VII was nice enough to pay for the funeral of his cousin, Sir Richard Pole. Margaret Pole was first cousin to Henry VII’s late wife, Elizabeth of York – in a way, she was family and probably reminded Henry VII of his wife as well. To ease the financial burden, Margaret devoted her third son, Reginald Pole (age 5) to the Church. Nonetheless, Reginald would bitterly resent her abandonment of him later in life. Additionally, Margaret, without adequate means to support herself and her children, was forced to live at Syon Abbey among Bridgettine nuns after her husband’s death. She remained at the abbey until her return to favor at the ascension of Henry VIII in 1509. Reginald Pole was once a favorite of his cousin, Henry VIII. The king even paid for half of Reginald’s schooling at one time. However, when Reginald rejected any divorce discussion regarding Katherine of Aragon, spoke poorly of Anne Boleyn and then refused to sign the Oath of Supremacy, he enraged Henry. Henry turned on Reginald and attacked his family in England instead — since Reginald was out of the king’s reach. Between 1537 and 1539 the Pope ordered Reginald on two diplomatic missions to persuade Europe’s Catholic monarchs to ally against Henry VIII. Both of his missions were unsuccessful, and Henry, in revenge for Pole’s treasonous activities, executed Pole’s brother, Henry Pole, Lord Montagu at the end of 1538, and his cousin Henry Courtenay, Marquess of Exeter in the beginning of 1539. In 1541 he also executed Margaret Pole, Reginald’s mother. This is where Wilcoxson’s story begins, in 1541. Being at the top of King Henry VIII’s most wanted list in 1541 would have caused worry for anyone. Reginald Pole was not just anyone – he was a very pious man who did not fear death. He welcomed it. Pole was protected by Pope Paul III, who was kind enough to supply guards to keep Reginald safe. While he appreciated the safety measures put in place he put all his faith in God’s will. His strong faith in God was one of the things that struck me the most about this book. Reginald Pole was not an overly ambitious man like so many of his ancestors had been. As Cardinal Pole, Reginald had a chance to become Pope after the death of Paul III, and even then he would not push his cause by making agreements and deals with others to get the coveted spot. That aspect of the story left me respecting Pole as I never had in the past. Another interesting aspect of this story is that Reginald has some pretty fantastic relationships in Italy. Top of the list (for me) was Michelangelo. I loved the way Wilcoxson built the friendship between the two men. I honestly do not know much about Michelangelo and this left me wanting to learn more about his life. There is also mention of a woman by the name of Vittoria Collona who was an Italian noblewoman and poet. After her death 1547 it caused other female poets to publish their material to fill the void that had been left by her absence. Wilcoxson did a fantastic job building the secondary characters so that the reader is left wanting more and more. If you’re looking for a book that is different from your normal subject matter I highly recommend checking out “Prince of York” by Samantha Wilcoxson. It will fill in some gaps from other stories that you may have read in the past. Another masterpiece by Samantha Wilcoxson that shows the depths of Henry VIII’s vindictiveness which is contrasted by the piety of Reginald Pole. The Prince of York is now available on Amazon. ← Quiz: How Well Do You Know Mary, Queen of Scots?